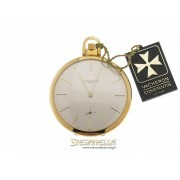 Vacheron Constantin modello 222 Jumbo cassa e bracciale acciaio, misura 37mm, movimento a carica .. Condition New/Unworn Case Shape Tonneau Case Dimensions 36.7mm X 42.1mm (47.60 in..
Vacheron Constantin pocket watch ref. 57001 size 47mm manual winding, 74grams, yellow gold 18kt n.. 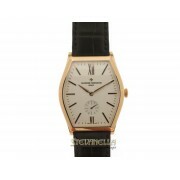 Brand: Vacheron Constantin Series: Patrimony Grand Taille Model #: 81180/000r-9159 Size: Me.. 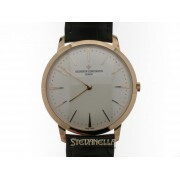 Brand: Vacheron Constantin Series: Patrimony Grand Taille Model #: 81180/000R-916.. Stainless steel case with a dark brown alligator leather strap. Fixed stainless steel bezel. Silv..